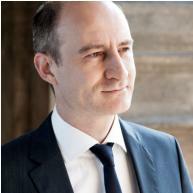 Franck Amet,in 1990, is accepted at the Conservatoire National Supérieur de Musique in Paris where he has obtained his two first prizes in 1994. During the same year, Franck Amet becomes a member of the Orchestre d’Harmonie of the Garde Républicaine, prestigious formation, renowned over the entire world as an ambassador of the French school for wind instruments. In parallel, he also confronts himself with the classical symphony repertoire in association with a variety of orchestras (the Paris National Opera, the Paris Orchestra, the Radio France Orchestras… under the direction of prestigious maestro such as Armin Jordan, Christoph Eschenbach, Valery Gergiev, Vladimir Fedosseiev, Pierre Boulez, George Prêtre, James Conlon, Kurt Sanderling, Christoph von Dohnányi, Myung-Whun Chung, Yutaka Sado…. His enthusiasm for ancient clarinets made him to collaborate with the Musiciens du Louvre Grenoble (Marc Minkowski), the Concert d’Astrée (E. Haim) and The Chambre Philharmonique (E. Krivine) during tours given in the most renowned concert halls in Europe and Asia. In spite of this orchestral activity, his favourite world remains the Chamber music. Having been taught by the best chamber music specialists, he has performed the most well known pieces of the repertoire and was awarded the Prix Special from the International Academy of Chamber Music Maurice Ravel in 1993. Very much devoted to the in development of the clarinet repertoire, he has been dedicated Epitaphe from Karol Beffa (Ed. Billaudot) and Canto a la luna from Jocelyn Sgard (clarinet edition) and, further more, in 2011 he will participate in the creation of Clarinet quartets from Karol Beffa, Guillaume Connesson, Thierry Escaich and Bruno Mantovani. As a laureate of the Certificat d’Aptitude, Franck Amet is, at the present time, Professor at the Concervatoire de Région de Paris – Pôle Supérieur since 1992 and at the international Summer Academies of the Grand Nancy and Musicalp. 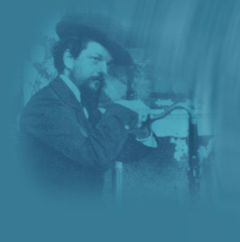 Further more, Frank Amet is the musical director of the Concours International Claude Debussy (next edition Paris 2014) and he is in charge of a collection within clarinet-edition.fr .